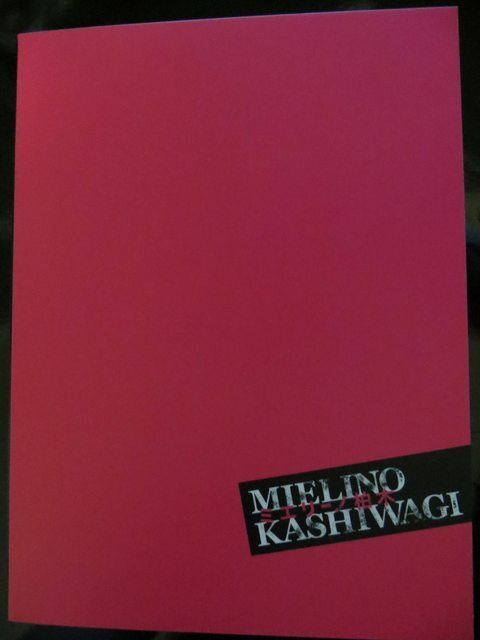 I received my 「ミエリーノ柏木 Mielino Kashiwagi」 bluray boxset yesterday. 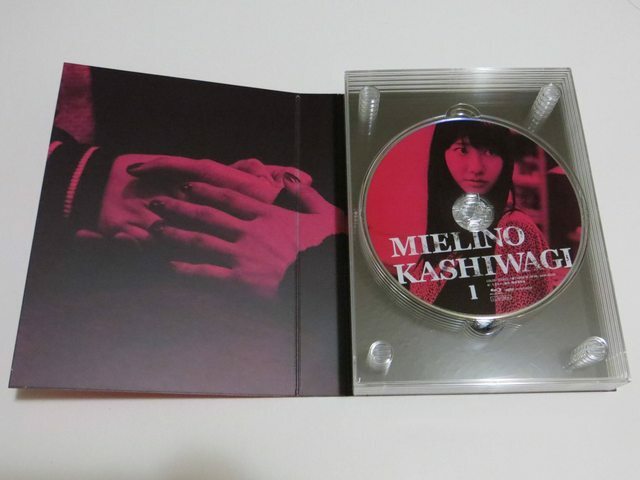 The boxset came with a cover sleeve. 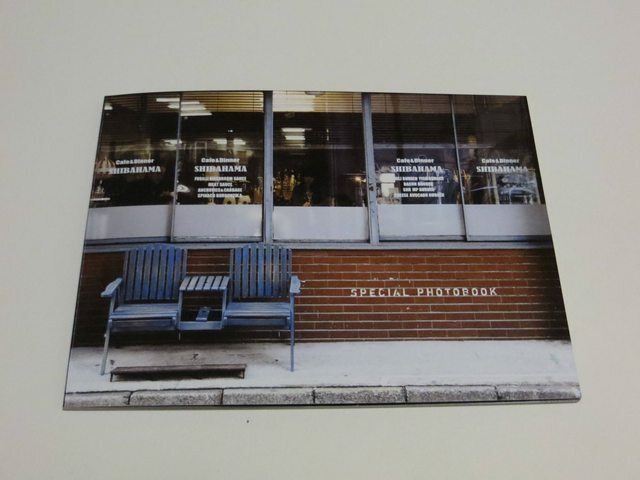 The boxset comes with a 40-page Special Photobook. The boxset contains 5 discs in total, Disc 1 – 4 contains the episodes plus audio commentary. 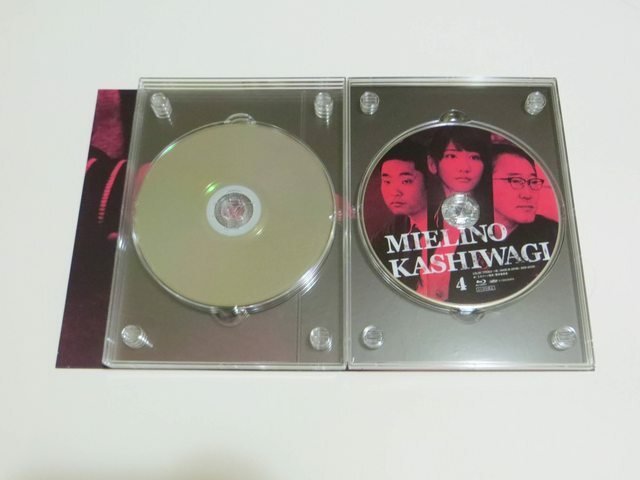 Disc 5 contains lots of extra videos such as Behind the Scenes video, Cast talks, NG Collection, etc etc. There’s a 1-hr behind the scene video which takes you from the beginning when the main cast got together in November 2012 for the first time for promotional pictures, Yukirin finding out the name of the drama, first day of filming, etc etc. It’s always interesting to see the filming process. Yukirin also did an interview for the making of video which was played throughout. The great thing about filming at a real café, the kitchen was preparing food during the filming. Hehe. Although it was also a lot of work for the staff as they have to change signs, and stuff around prior to filming each day. It was cool to see Yukirin recording for her radio show too. But I always think it’s kinda funny that they just keep talking to themselves when recording for solo radio shows. Scheduling AKB members for filming must be hard, they have so many other jobs too. And since they filmed at a real cafe, a lot of filming was done at night. They put in quite of bit of effort for the Shortcake song filming, Kon-chan singing Shortcake wasn’t that bad (lol) but Sano-san is a pretty good guitar player! Yukirin’s acting really improved during the drama. I hope Yukirin will get more acting chances! There are also videos with the main 3 talking about their Top 5 Unforgettable moments either at filming or scenes in the drama which was really interesting. They actually filmed the talk at the Café only 2 months ago (as mentioned in Yukirin’s blog about filming something for Mielino). Kon-chan’s #1 moment was when Yukirin rejected Asari when he asked her for her phone number (that was in episode 8). Full talk scenes between Yukirin with Akimoto Yasushi and Lily Franky which I haven’t watched yet. Collection of NGs which were more like the cast having fun. Looks like enough people bought this boxset as it made it to #10 on the 6/28 Oricon Daily DVD Chart. AKB48 So Long drama was also released on the same day Team K Box version was #20, Team A Box Version was #23 and Team B Box Version was #24. 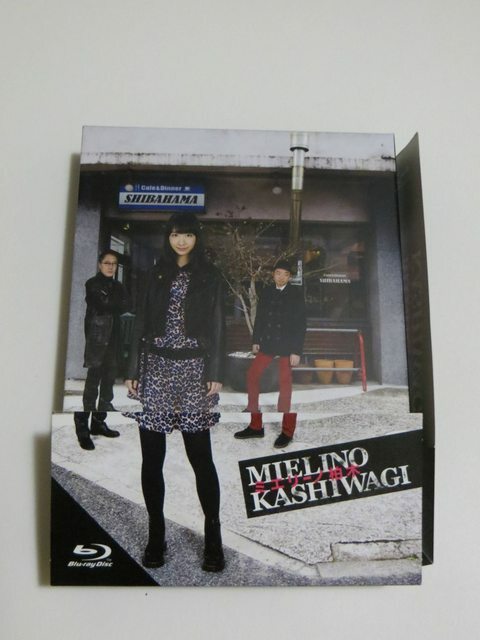 The Mielino Kashiwagi bluray set was #12 on the Daily Bluray chart. Thank you so much for this quite complete review. It seems like a nice product. Thanks for sharing! It made me understand much more of what's inside the box set! It is an awesome set. Content wise, it is the same between DVD and bluray.